Project Saksham with Bajaj Auto Ltd.
TCF would like to thank the AmeriCares India Foundation, Axis Bank Foundation, Bajaj Auto Ltd., Bombay Gowrakshak Trust, Born Free Foundation, Big Cat Rescue, Coca-Cola India Foundation, Earthwatch Institute India, EcoCare International Foundation, Exodus Travels Ltd., Friends of Conservation, Gujarat Biodiversity Board, Gujarat Forest Department, Kirloskar Oil Engines Limited, Madhya Pradesh Forest Department, Pirojsha Godrej Foundation, Rufford Foundation, Wildlife Conservation Trust, WWF-India, The Dharamsi Morarji Chemical Co. Ltd., Khimji Poonja Charitable Trust, Phoenix Distributors Pvt. 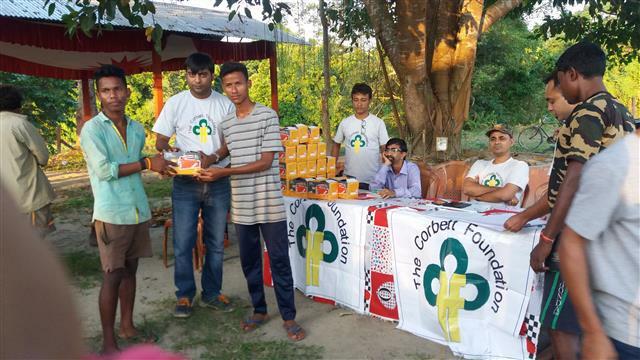 Ltd., TOFTigers Wildlife Tourism, Usha International Ltd., Hem Chand Mahindra Foundation among others, for their support towards its activities and programmes. TCF gratefully acknowledges the infrastructure support given by Conservation Corporation of India Pvt. 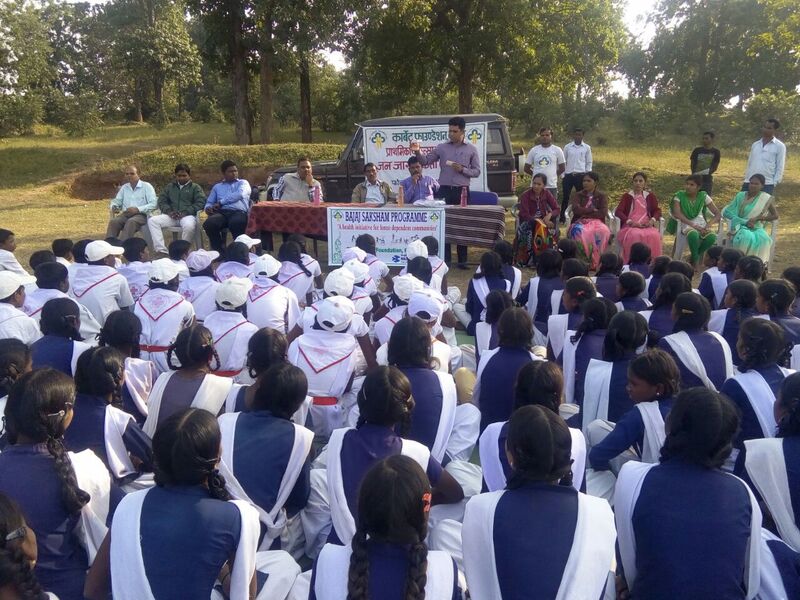 Ltd.
TCF was invited by Dr. Dilip Kumar Singh, Field Director and CCF to conduct a training programme for the Nature Guides of Sanjay-Dubri Tiger Reserve in Madhya Pradesh. With this programme being conducted here for the first time and newly opening its gates to wildlife tourism, it is hoped that these efforts will put Sanjay-Dubri on the map for wildlife and sustainable tourism practices. 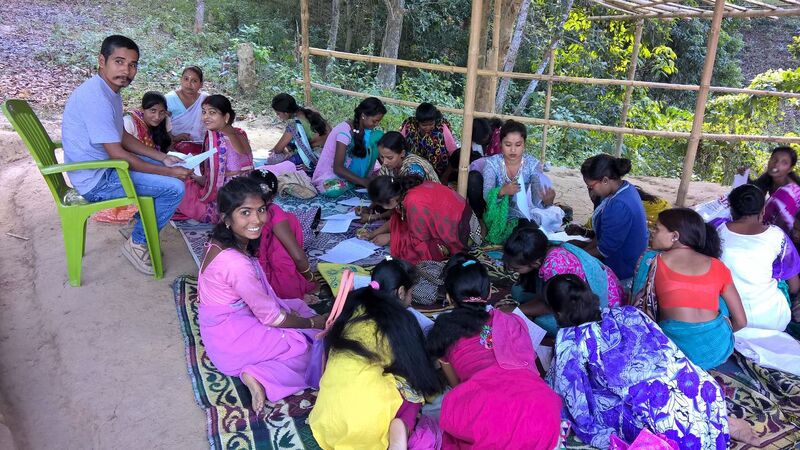 TCF and Bajaj Auto Limited have collaborated to provide the forest-dependent communities in and around Kanha and Corbett Tiger Reserve with basic medical care – primary treatment, special health camps and health awareness programmes. The highlight and fresh component of this association is the introduction of three mobile pathology labs, making affordable pathological testing and diagnosis available to even remote villages. 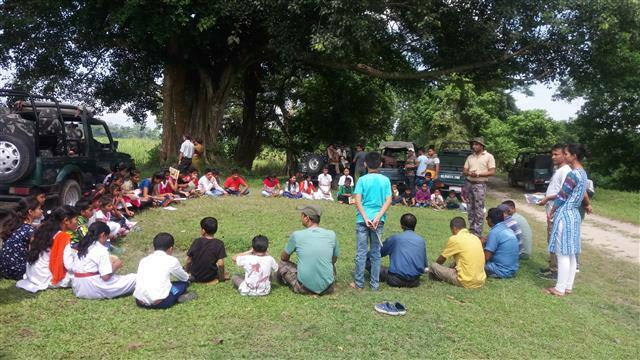 TCF Kaziranga and the Kaziranga National Park Authority have arranged free weekly safaris for select students from educational institutes in the Kaziranga area to educate them in the field, about the park’s flora, fauna and biodiversity threats, and to enable the youth to bond with Kaziranga’s wild heritage. 46 students, 6 teachers, 2 nature guides, 6 TCF members and 1 journalist from 13 schools and 2 colleges comprised the passengers of seven safari vehicles, who recorded in their notebooks sightings of elephant, rhino, swamp deer, hog deer, wild boar and wild buffalo. 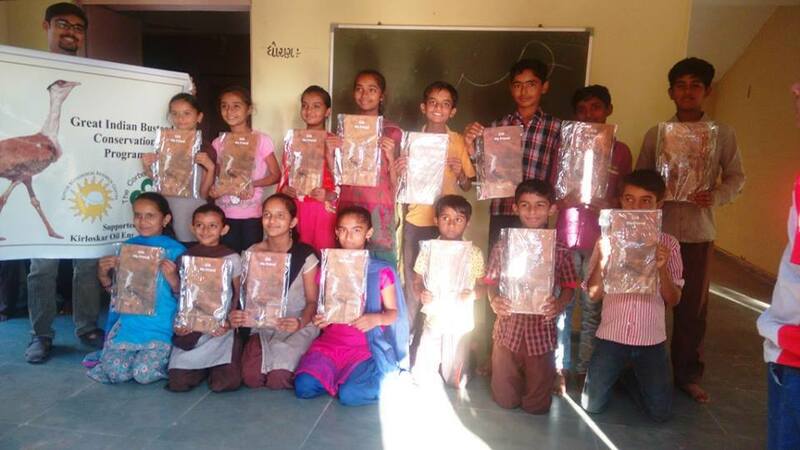 Kutch Ecological Research Centre, TCF's division in Kutch, continues with engaging the kids from villages that are around the GIB habitat. TCF's game "GIB - My Friend" is quite popular among the kids of these villages. 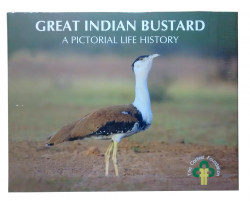 This game is a great tool to educate the yound minds about the Great Indian Bustard and the conservation challenges it faces. TCF has distributed 29 rechargeable torch lights and constructed as many tongis or watchtowers for the residents of villages Dumjan, Bezgaon, Tinsukee, Sildubi (Geleki) to help mitigate the the prevailing human-elephant conflict in this area.Destruction of standing crops by wild elephants and the potential danger to human life when elephants and villagers cross paths gives rise to conflict. Such mitigation measures contribute effectively to community-based strategies to conserve the Asian elephant and its habitat and foster peaceful co-existence with local communities. 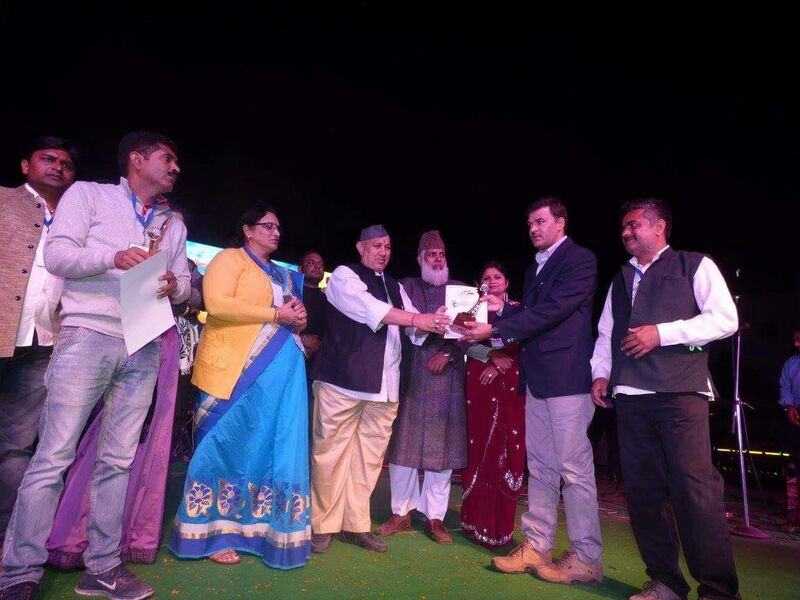 In recognition of its contribution to wildlife conservation, human-wildlife conflict mitigation and its social initiative of providing primary healthcare to communities in and around Corbett Tiger Reserve, The Corbett Foundation was presented with an award by Shri Ranjeet Rawat, Industrial Advisor to Hon'ble Chief Minister of Uttarakhand at the Ramnagar Corbett Mahotsav 2016. A batch of trainees under 'PUKAAR', TCF's sustainable livelihoods programme supported by Axis Bank Foundation, participated in a learning assessment, which is a part of the skills training process. Skill development among forest-dwelling communities will gradually reduce their dependence on forest resources for a livelihood. 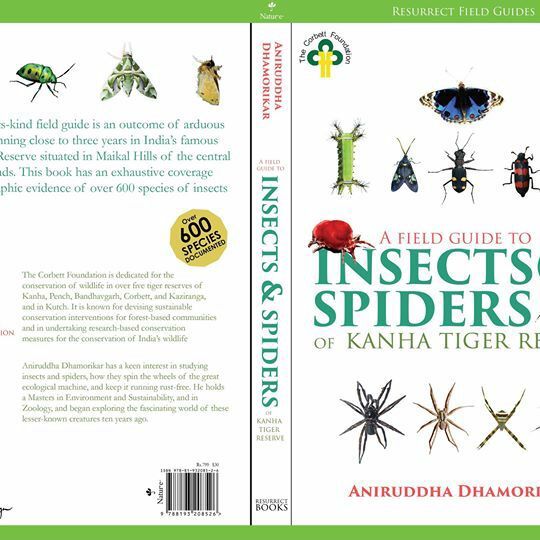 TCF Kutch has undertaken a study on the faunal diversity in Rampara Wildlife Sanctuary, Rajkot. 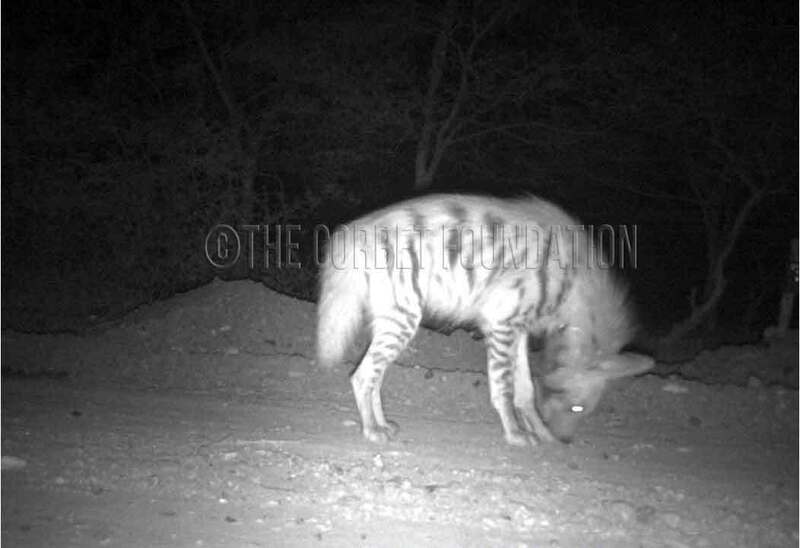 The sanctuary area is being mapped using GIS, and the biodiversity here is being listed with the help of camera traps, videos and laying transects.